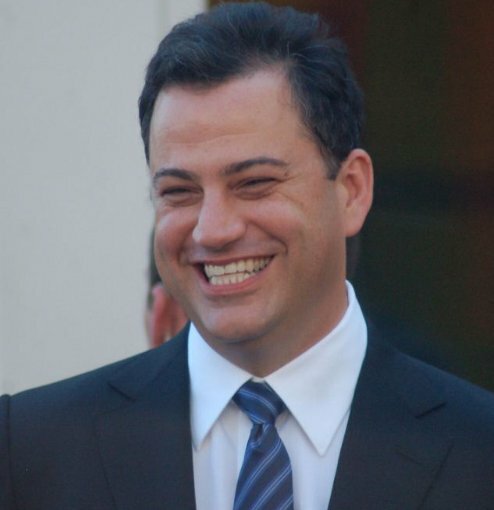 Photo of Jimmy Kimmel smiling from Wikipedia by photographer Andrea George created September 4,2012 during a ceremony for Ellen DeGeneres, receive star on Hollywood Walk of Fame. Video below of Jimmy Kimmel catches 2016 Oscar host, Chris Rock after the 2016 Oscars. Excerpts fromChris Rock's opening Monologue hosting the 77th (2005) Oscar Academy Awards. "...So ...Great night tonight. We have 4 black nominees...Kinda like the deaf Oscar jam tonight ... You know why I love the Oscars. Cause the Oscars are the only awards show where the people nominated don't really perform...There's no acting at the Oscars ...The only acting you see at the Oscars are when people act like they're not mad when they lost...Like I remember one year when Halle Berry won the Oscar Nicole Kidman was smiling so wide she shoulda' won an Emmy at the Oscars for her great performance ...See at least they make white movies for people to enjoy ... real movies with plots ...with actors not rappers ... with real names like "Catch Me If You Can," "Saving Private Ryan," ... black people movies don't have real names ... you get names like "Barbershop," that's not a name that's just a location ... "Barbershop," "Cookout," "CarWash," ... they've been making the same movies for 40 years. That's right you know laundromat is coming soon. And after that check-cashing place." ~~ Chris Rock (Christopher Julius "Chris" Rock III) actor, comedian, voice artist, director, writer, and producer, excerpts from him while hosting the 2005 Oscar Awards (77th). The 90th Academy Award (Oscar) 25-category nominations were announced live on January 23rd. Academy president John Bailey opened the event and introduced Tiffany Haddish of "Girls Trip" and Andy Serkis of "Lord of the Rings." In line with the spirit of women, each category started off with clips of actresses including Salma Hayek, Michelle Yeoh, Rebel Wilson, etc. Haddish and Serkis announced the nominees for the 25 Oscar categories from the Samuel Goldwyn Theater in Beverly Hills, Californna. Haddish madded that she was going to put watching "Dunkirk" on her to-do-list. The 90th Oscars® LIVE OSCAR SUNDAY ( #90OSCAR) will be broadcast live from Hollywood's Dolby Theatre with Host, Jimmy Kimmel, on Sunday, March 4th at 7 p.m. EST on ABC Television Network, and will be televised in more than 225 countries. Here is a listing of key Academy Announcements for the 90th Academy Awards (or copy/paste this link http://www.oscars.org/news/academy-announces-key-dates-89th-oscars). Films with the most nominations are “The Shape of Water” (13 nominations, 13 categories including Picture, Directing, Actress in a Leading Role, and a slew of technical and visual awards) with no other films coming close. "Dunkirk," a far second with eight nods — largely in technical categories, but also Best Picture and Directing and " Three Billboards Outside Ebbing, Missouri" with seven nominations (including Best Picture, Original Screenplay, and Actress in a Leading Role). As everyone expected, Meryl Streep received her historic 21st nomination for her role as Kay Graham in The Post. Jimmy Kimmel, host of Jimmy Kimmel Live will host his 2nd consecutive Academy Award Oscars® @AcademyAwardHD @Oscars_Live @AwardsOscarsTV #Oscars2018. Kimmel is no stranger to the #Oscars® as he has hosted his annual Jimmy Kimmel Live: After the Oscars specials for years prior to hosting. All of the movies this year are spectacular and they are all winners. Here's a summary of films with multi-nominations (by movie) and I’ll be updating this with my picks and also the winners during Oscar Night. Not surprising, The Shape of Water has the most Oscar nominations at 13 ~ in the league with LaLa Land at 14 Oscars last year, Titanic, which received 11 Oscars in 1997 and All About Eve with 6 Oscars in 1951. Gone With the Wind had 13 nominations and won 8 Oscars in 1940. As in 2017, 2014 and 2013, there are 9 nominees for best picture 2018 (2016 and 2015 had 8). Meryl Streep is nominated for the 21st time and there are diverse nominations across many categories. The Oscars are voted on by members of the Academy of Motion Picture Arts and Sciences. More information on the voting process is available at the Academy's website (oscar.go.com). 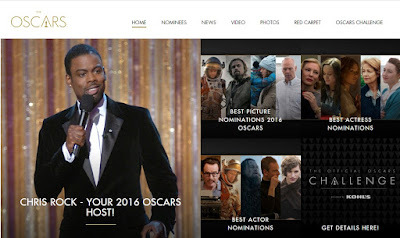 More Oscar nomination coverage is at the Official Annual Academy Awards -- Oscar.com and visit the “Oscar Nominee” section of the Website. My picks are in the category headers below. Oscar.com is also interactive and has a "My Picks" section at http://oscar.go.com/mypicks. Picture: My pick, The Shape of Water WINNER:"TBA"
Actor in a Leading Role: My pick, Gary Oldman . WINNER:"TBA"
Actress in a Leading Role: My pick, Frances McDormand WINNER:"TBA"
Actor in a Supporting Role: My pick, Sam RockwellWINNER:"TBA"
Actress in a Supporting Role: My pick, Allison Janney. WINNER:"TBA"
Animated Feature Film: My pick, Coco. WINNER:"TBA"
Cinematography: My pick, The Shape of Water . WINNER:"TBA"
Costume Design: My pick, Phantom Thread. WINNER:"TBA"
Directing: My pick, Guilermo del Toro. WINNER:"TBA"
Documentary Feature: My pick, Faces Places. WINNER:"TBA"
Documentary Short Subject: My pick, Edith and Eddie WINNER:"TBA"
Film Editing: My pick, Dunkirk. WINNER:"TBA"
Foreign Language Film: My pick, A Fantastic Woman. WINNER:"TBA"
Makeup and Hairstyling: My pick, Darkest Hour. WINNER:"TBA"
Music (Original Score): My pick, The Shape of Water. WINNER:"TBA"
Music (Original Song): My pick, "This Is Me" WINNER:"TBA"
Production Design: My pick, The Shape of Water. WINNER:"TBA"
Short Film (Animated): My pick, Lou. WINNER:"TBA"
Live Action Short Subject: My pick, The Silent Child. WINNER:"TBA"
♦ My Nephew Emmett, Kevin Wilson, Jr.
Sound Editing: My pick, The Shape of Water. WINNER:"TBA"
Sound Mixing: My pick, Dunkirk. WINNER:"TBA"
Visual Effects: My pick, War for the Planet of the Apes. WINNER:"TBA"
Writing (Adapted Screenplay): My pick, Call Me by Your Name. WINNER:"TBA"
Writing (Original Screenplay): My pick, Get Out. WINNER:"TBA"
My previous scores have been averaging about 85% right on Oscar.com. Wonder what my score will be this time. Whatever my score this year, I'll share it on Facebook and this blog.